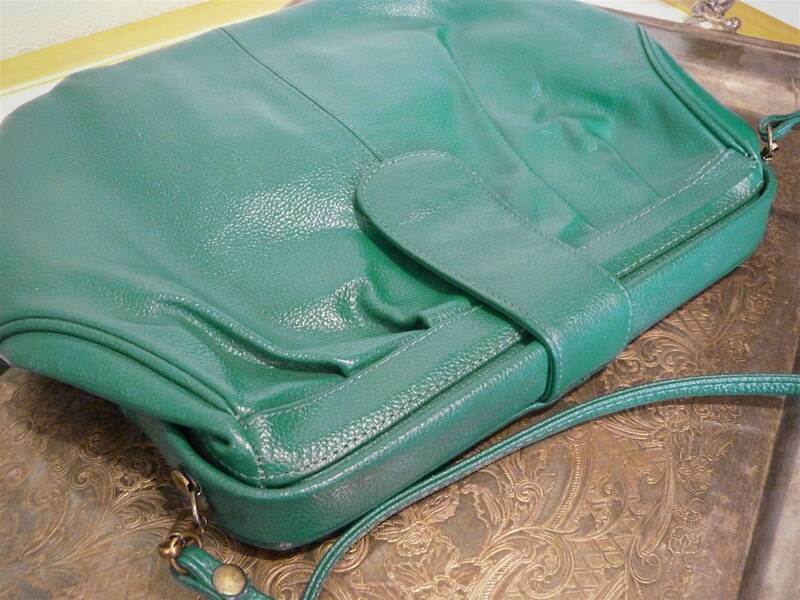 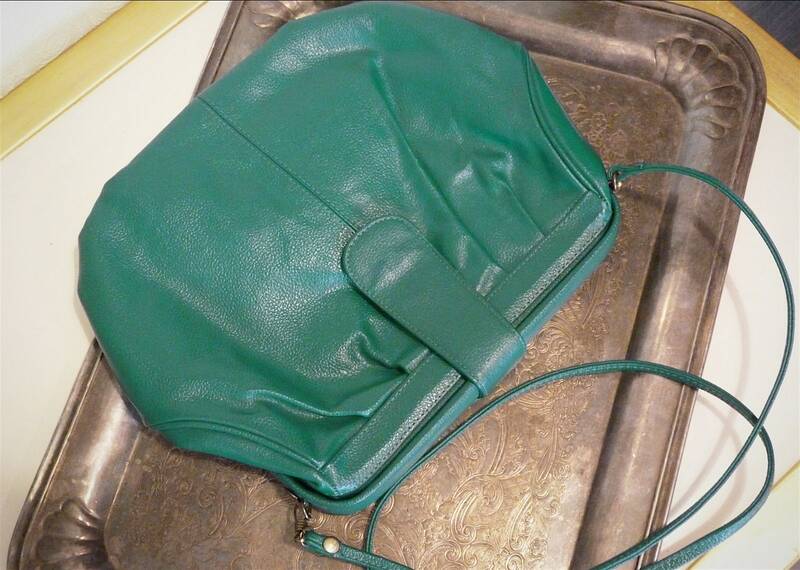 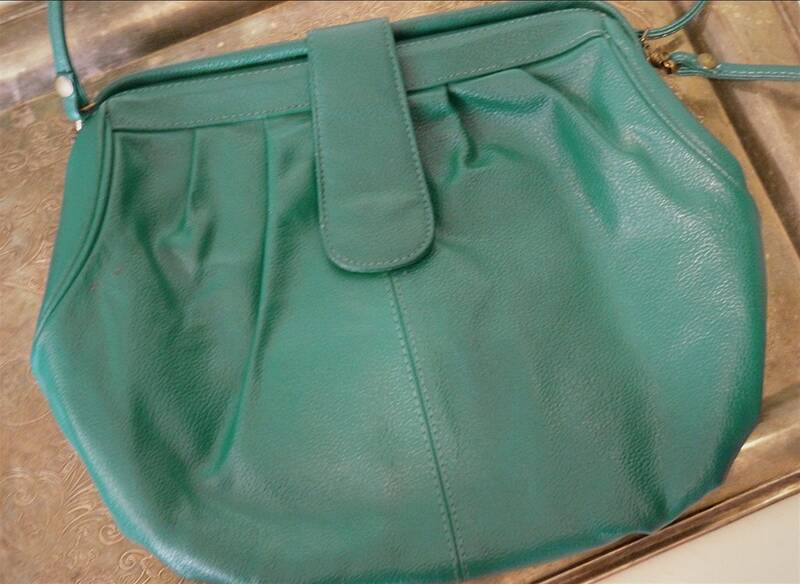 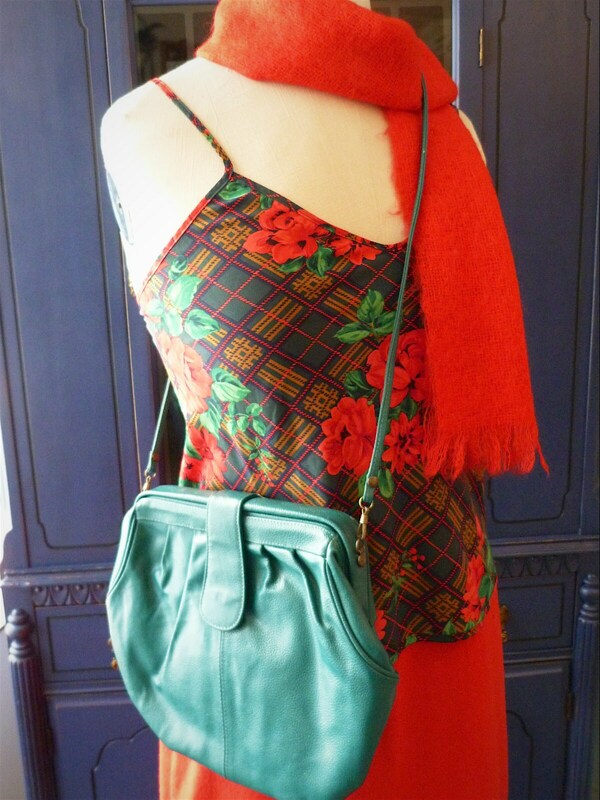 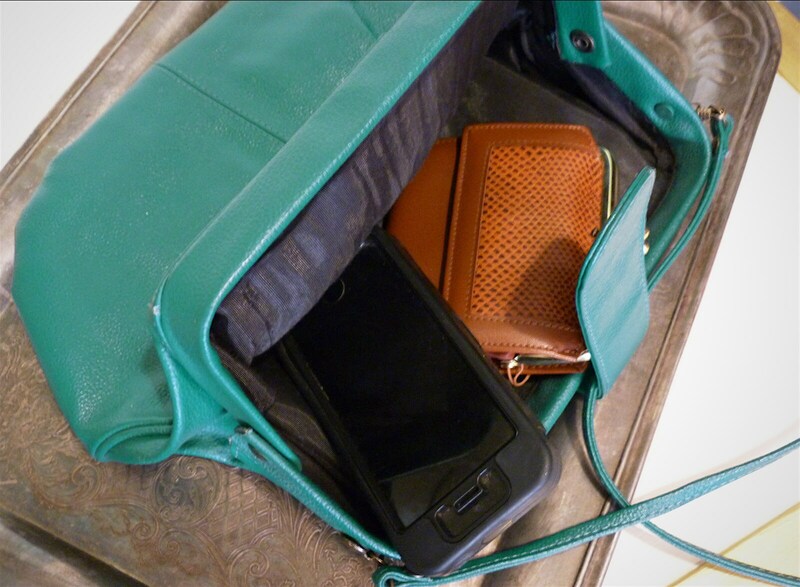 A beautiful emerald green color hinged shoulder bag that looks never used. 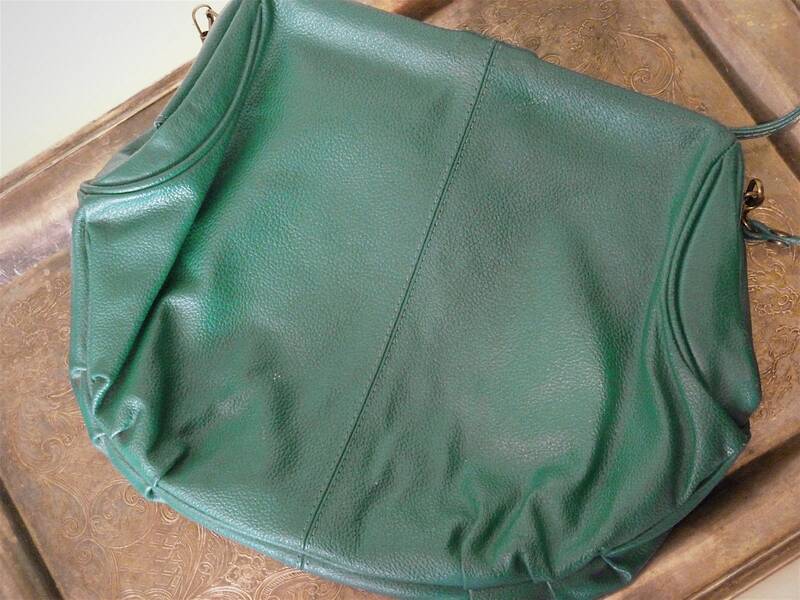 Rounded shape, thick and sturdy leather with beautiful visible grain. 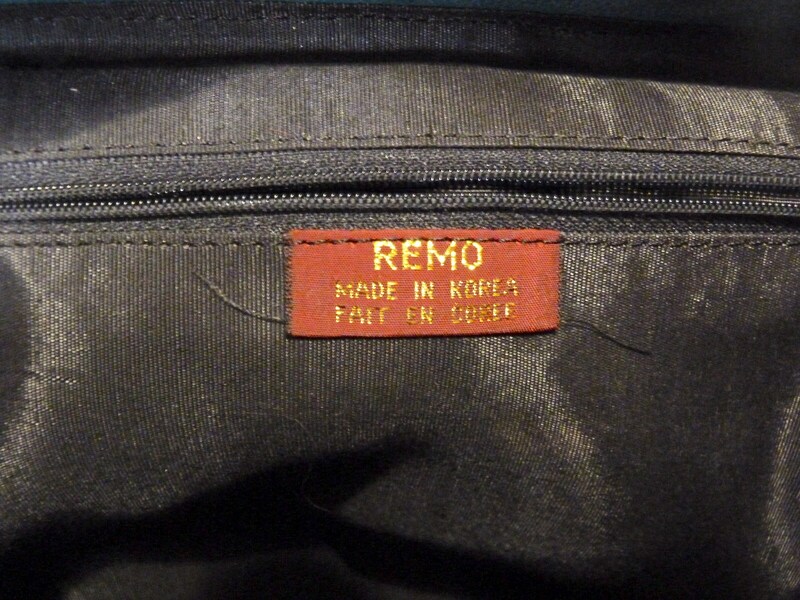 Lined with a strong black material featuring a zipped pocket. 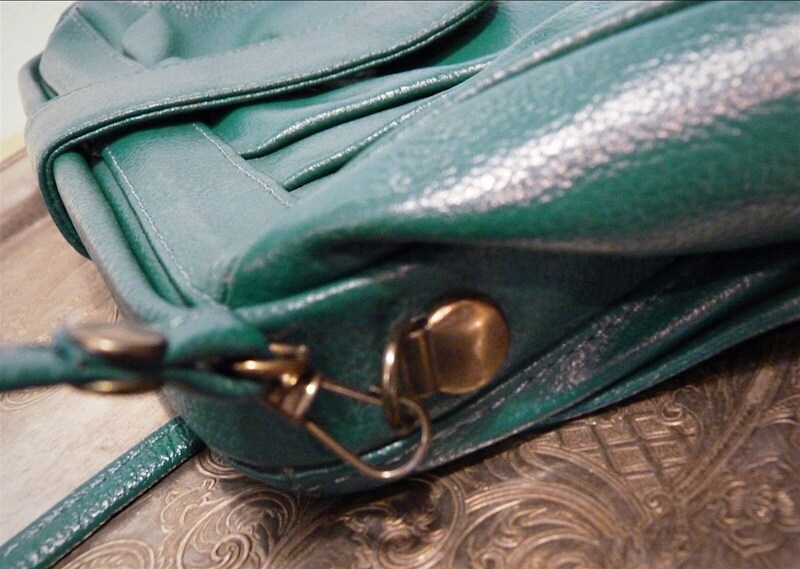 Handy shoulder strap that can be removed to get a clutch, snap button fastener with a small front flap, bronze finish hardware. 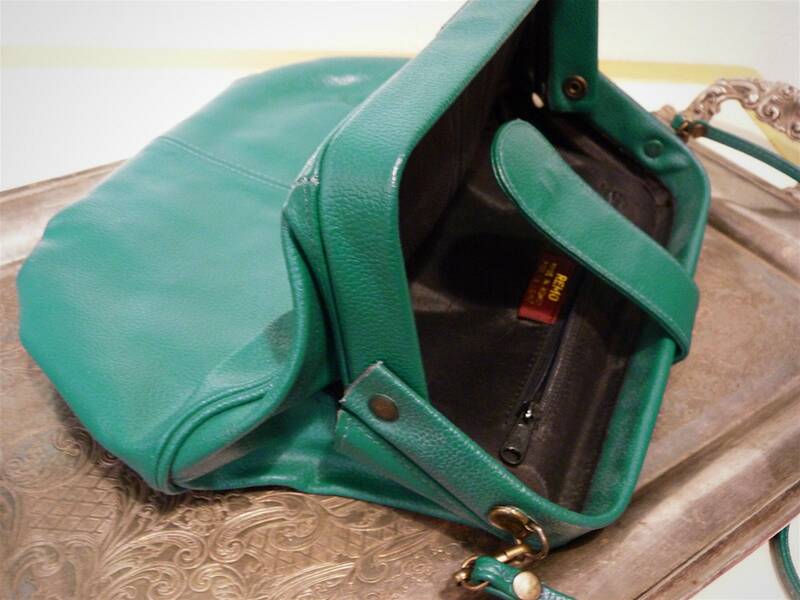 Perfect compact size to carry easily cellphone, wallet, note pad, pencil, powder box and lipstick. 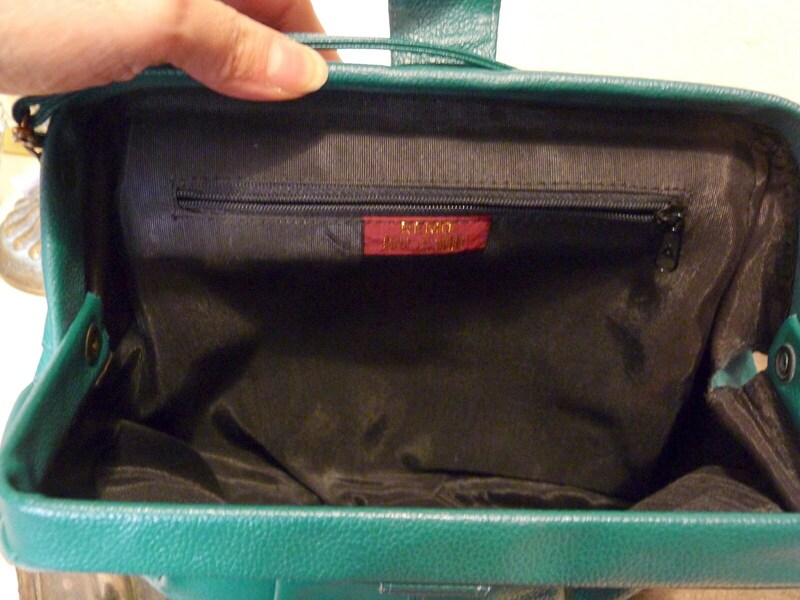 Sturdy construction - who will be the lucky one?